He originally thought it’d be easy to throw the show together again. “We kept the show pretty much intact. The costumes by Glenda Wolfe were these amazing, Tim Burtonesque costumes… [and] she kept the whole show together,” McKelvey says. “We kept a lot of the same prop pieces – we had these very exaggerated, strange looking baby puppets – they’re not really puppets, but these figures. Teresa Carson built all of that [and] and we kept all of that intact, so we knew we’d do a remount. And then I kept most of the same cast,” All signs pointed to an easy revival. “And then before I knew it, I went, ‘Oh, this show’s really hard!’” McKelvey says. It’s a pretty complicated show, even if you’ve done it before. It’s got some elaborate sets, costumes, and props, and it’s a musical. 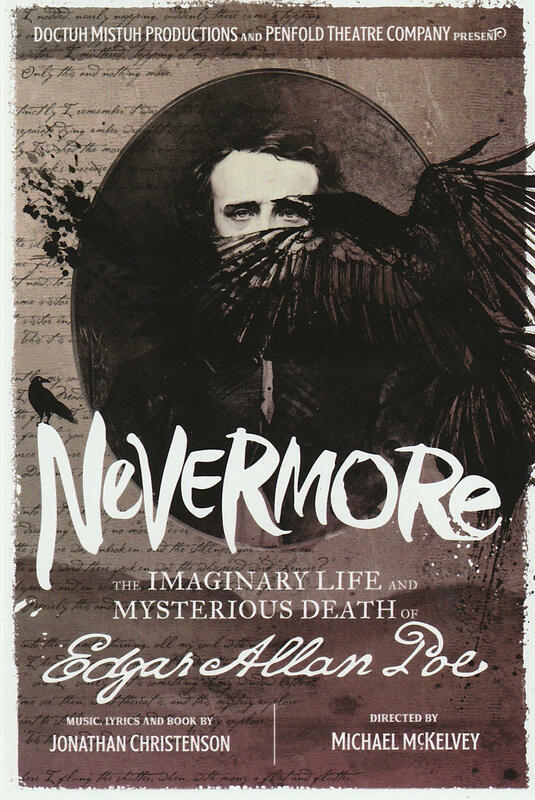 ‘Nevermore: The Imaginary Life and Mysterious Death of Edgar Allan Poe’ runs through Nov. 10 at Groundfloor Theatre, with a special show and costume contest on Halloween night.